MJC²'s scheduling and route planning tools provide powerful waste collection optimization functionality, addressing route/round scheduling and optimization, vehicle planning, workforce management/scheduling and strategic planning. MJC²'s round planning software creates waste collection routes which are optimized while taking into account the complex rules and constraints that apply to refuse & recycling collections. Specific rules can be applied e.g. for domestic, commercial, recycling, dangerous/toxic materials, etc. Routes are created based on vehicle type/availability, service level requirements, forecast volumes and seasonal trends. Our vehicle scheduling systems optimize allocation of work to the fleet, taking into account factors such as varying vehicle types, compartmentalised vehicles, driver skills and crew size. The planning software maximises fleet/driver utilisation while minimising miles and number of trips (while adhering to service level rules and time constraints at collection and delivery points). Schedules are displayed on maps and gantt charts and can be exported to in-cab systems and HR control/management systems for execution and monitoring. Our rostering and job allocation software allow staff shift patterns and work schedules to be optimized based on forecast demand and service level requirements. Shift planning is based on factors such as contract terms, working hours regulations, route/round schedules, holiday entitlement and seasonal patterns. MJC²'s real-time scheduling systems provide real-time response to last-minute changes such as unplanned absence, vehicle breakdowns, adverse weather, etc. Integration with real-time vehicle tracking and asset management systems provides fleet managers and controllers with up-to-the-minute information about the location and status of each vehicle. GPS tracking information can be used for dynamic planning of the operation in response to on-the-day changes and variations (e.g. unexpectedly high volumes, poor road conditions). 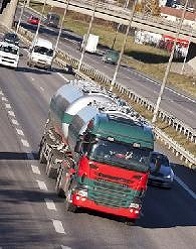 Tracking data can also be used for reporting and strategic planning of fleet/workforce requirements.